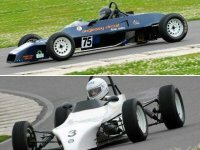 An opportunity to be driven around the circuit for 4 laps in a two seater racing car by a professional racing instructor. 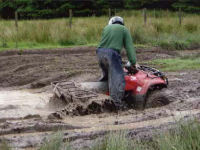 Adult Quad Biking Experience, suitable for adults with a minimum age of 16. With a mixture of skill and speed there is something to keep everyone happy ! Race on awesome multi layer track including banked bend in 200cc karts. Medals for the top 3 drivers. Race on awesome multi layer track including banked bend in 200cc karts. Medals for the top 3 drivers.Valid Saturday. 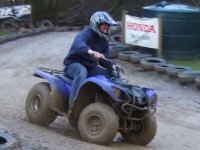 Your opportunity to spend 30 minutes Quadbiking, learning how to safely handle the bike on hill climbs and descents. Suitable for complete beginners. 60 minutes, with 30 minutes in the vehicle. Thrilling off road riding with spectacular views of the surrounding areas. The thrill of 4x4 Off Road Driving cannot be rivalled for sheer excitement and white knuckled tension. 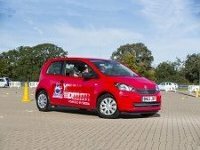 This is your chance to spend 1 hour as part of a team of up to 3 drivers with a qualified instructor. 90 minutes, with 60 minutes in the vehicle. The Lamborghini Thrill experience allows you to get behind the wheel of a real italian supercar - the Lamborghini Gallardo, for a truly unforgettable experience. Spectators welcome. Valid weekdays only. The Audi R8 Thrill experience allows you to get behind the wheel of a really great car- for a truly unforgettable experience. Spectators welcome. After a welcome,registration and briefing you will be out on the rally track. Short debrief and certificate on completion. Guests welcome. The Aston Martin thrill experience allows you to get behind the wheel of the Vantage V8, for a truly unforgettable experience in one of the most luxurious supercars ever made. Spectators welcome.Valid weekdays only. The Ferrari thrill experience allows you to get behind the wheel of the Ferrari 430, for a truly unforgettable experience in one of the most celebrated supercars ever made. Valid weekdays only. Drive Japan's mightiest supercar, the stunning Nissan Skyline GTR! Somewhat of an icon for Nissan, the GTR gives the ultimate in performance for virtually every driving condition. Valid weekdays only. 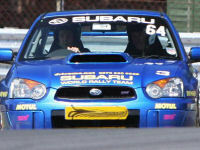 After a welcome, registration and briefing you will take to the track in a true rally bred machine - the Subaru Impreza Sti. Guests welcome.Valid weekdays only. 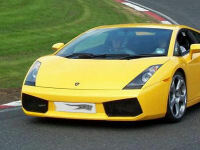 The Lamborghini Thrill experience allows you to get behind the wheel of a real italian supercar, the Lamborghini Gallardo, for a truly unforgettable experience. Spectators welcome. Valid weekdays only. After a welcome, registration and briefing you will take to the track in a true rally bred machine - the Subaru Impreza Sti. Guests welcome. Vaklid weekdays only. The Ferrari thrill experience allows you to get behind the wheel of the Ferrari 430, for a truly unforgettable experience in one of the most celebrated supercars ever made. Includes High Speed passenger Ride.Valid weekdays only. The Audi R8 Thrill experience allows you to get behind the wheel of a really great car, for a truly unforgettable experience. Includes High Speed passenger Ride. Spectators welcome.Valid weekdays only. After a welcome,registration and briefing you will be out on the track in the Mitsubushi Evo 8. Short debrief and certificate on completion. Includes High Speed passenger Ride. Guests welcome! Valid weekdays only. This is the chance for you and a friend to get your Heart Pounding and Adrenalin Pumping on our awesome multi layer track including banked bend in 200cc karts. Bring family and friends along to support you. Valid weekdays 12-5pm. This is the chance for you and a friend to get your Heart Pounding and Adrenalin Pumping on our awesome multi layer track including banked bend in 200cc karts. Bring family and friends along to support you. The Aston Martin thrill experience allows you to get behind the wheel of the Vantage V8, for a truly unforgettable experience in one of the most luxurious supercars ever made. Spectators welcome. The Lamborghini Thrill experience allows you to get behind the wheel of a real italian supercar - the Lamborghini Gallardo, for a truly unforgettable experience. Spectators welcome. The Ferrari thrill experience allows you to get behind the wheel of the Ferrari 430, for a truly unforgettable experience in one of the most celebrated supercars ever made. Somewhat of an icon for Nissan, the GTR gives the ultimate in performance for virtually every driving condition. After a welcome, registration and briefing you will take to the track in a true rally bred machine - the Subaru Impreza Sti. Guests welcome. You and a friend can join an open Grand Prix Race on awesome multi layer track including banked bend in 200cc karts. Medals for the top 3 drivers.Valid for 2 participants. The Lamborghini Thrill experience allows you to get behind the wheel of a real italian supercar, the Lamborghini Gallardo, for a truly unforgettable experience. Spectators welcome. The Ferrari thrill experience allows you to get behind the wheel of the Ferrari 430, for a truly unforgettable experience in one of the most celebrated supercars ever made. Includes High Speed passenger Ride. The Audi R8 Thrill experience allows you to get behind the wheel of a really great car, for a truly unforgettable experience. Includes High Speed passenger Ride. Spectators welcome. 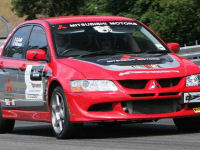 After a welcome,registration and briefing you will be out on the track in the Mitsubushi Evo 8. Short debrief and certificate on completion. Includes High Speed passenger Ride. Guests welcome! 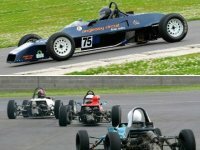 Always fancied the ultimate circuit driving experience in a Formula Ford 1600 race car? - this is your chance. After 'learning' the track behind a pace car you will be on your own. Spectators welcome. Valid weekdays only. 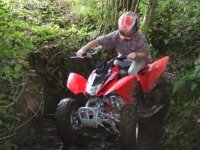 The opportunity for you and a friend to spend 30 minutes Quadbiking, learning how to safely handle the bike on hill climbs and descents. Suitable for complete beginners. Valid for 2 participants. The thrill of 4x4 Off Road Driving cannot be rivalled for sheer excitement and white knuckled tension. This is your chance to spend 1 hour 1-1 with a qualified instructor. 75 minutes, with 60 minutes in the vehicle. 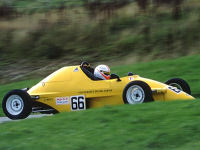 Always fancied the ultimate circuit driving experience in a Formula Ford 1600 race car? - this is your chance. After 'learning' the track behind a pace car you will be on your own. Spectators welcome. 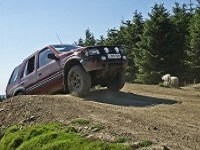 Have a one hour thrilling taster session, for two people,in our vehicle on our purpose built obstacle course. 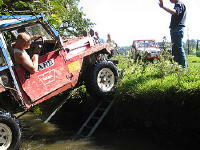 The off road course has hills, mud, water; everything you need for an adrenaline charged adventure! 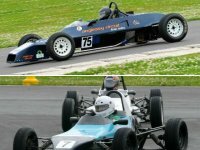 Always fancied the ultimate circuit driving experience in a Formula Ford 1600 race car? After 5 laps 'learning' the track behind a pace car you will be on your own (20 mins in 2 sessions). Valid weekdays only. Spectators welcome. This is the chance for you and 3 friends to get your Heart Pounding and Adrenalin Pumping on our awesome multi layer track including banked bend in 200cc karts. Bring family and friends along to support you. Valid weekdays 12-5pm. The opportunity for you and two friends to spend 30 minutes Quadbiking, learning how to safely handle the bike on hill climbs and descents. Suitable for complete beginners. Valid for 3 participants. 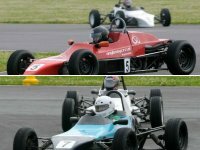 Always fancied the ultimate circuit driving experience in a Formula Ford 1600 race car? - this is your chance. 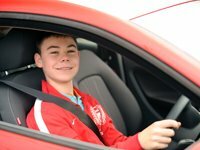 After 5 laps 'learning' the track behind a pace car you will be on your own (20 mins in 2 sessions). Spectators welcome. This is the chance for you and 3 friends to get your Heart Pounding and Adrenalin Pumping on our awesome multi layer track including banked bend in 200cc karts. Bring family and friends along to support you. Valid for 4 participants. Family Quad Biking Experience, suitable for familes with a minimum age of 6. With a mixture of skill and speed there is something to keep everyone happy ! 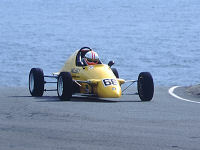 You and 3 friends can join an open Grand Prix Race on awesome multi layer track including banked bend in 200cc karts. Medals for the top 3 drivers.Valid for 4 participants. Three supercars of your choice: the superb Aston Martin V8 Vantage; breath taking Lamborghini Gallardo; awesome Audi 8; iconic Ferrari 430, or intoxicating Porsche 911 - it's up to you! Also includes driver analysis and certificate. 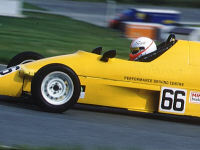 This is the ultimate opportuity of driving a real, sleek, lightweight, racing machine on a circuit. 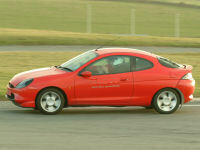 After 5 laps 'learning' the track behind a pace car you will be on your own (30 mins in 3 sessions).Spectators welcome. Valid weekdays only. 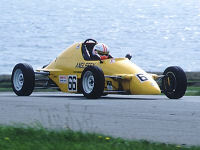 Drive a Saloon Car on a circuit and enjoy the benefit of instruction and guidance by professional Association of Racing Drivers (ARDS) instructors who are licensed by the (MSA). 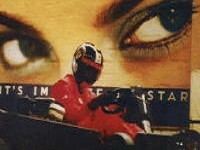 You and 3 friends can join an open Grand Prix Race on awesome multi layer track including banked bend in 200cc karts. Medals for the top 3 drivers. Valid for 4 participants. The opportunity for you and three friends to spend 30 minutesQuadbiking, learning how to safely handle the bike on hill climbs and descents. Suitable for complete beginners. Valid for 4 participants. 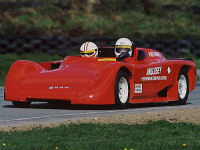 This is the ultimate opportuity of driving a real, sleek, lightweight, racing machine on a circuit. After 5 laps 'learning' the track behind a pace car you will be on your own (30 mins in 3 sessions). Spectators welcome. 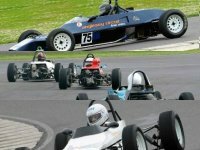 Chance for you and 4 friends to really get your Heart Pounding and Adrenalin Pumping.Taking part in an Endurance karting session you will be racing on an awesome multi layer track including banked bend. Medals for top 3 drivers. 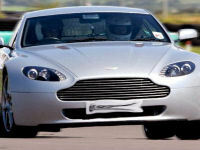 Four supercars of your choice: the superb Aston Martin V8 Vantage; breath taking Lamborghini Gallardo; awesome Audi 8; iconic Ferrari 430, or intoxicating Porsche 911 - it's up to you! Also includes driver analysis and certificate. 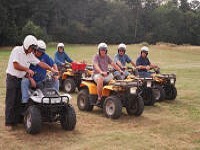 Adults Quad Biking Experience, suitable for groups of adults with a minimum age of 16. With a mixture of skill and speed there is something to keep everyone happy ! You and 5 stags/hens/friends can join an open Grand Prix Race on awesome multi layer track including banked bend in 200cc karts. Medals for the top 3 drivers.Valid for 6 participants. 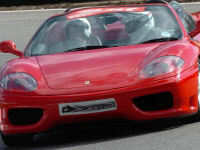 Chance for you and 5 friends to really get your Heart Pounding and Adrenalin Pumping. 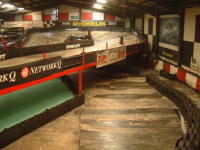 Taking part in an Endurance karting session you will be racing on an awesome multi layer track including banked bend. Medals for top 3 drivers. Chance for you and 7 friends to race on awesome multi layer track including banked bend in 200cc karts. Medals for the top 3 drivers. Bring the family to cheer you on. Not available Saturday. 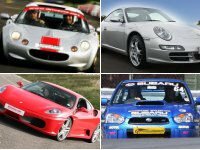 FIVE supercars of your choice: the superb Aston Martin V8 Vantage; breath taking Lamborghini Gallardo; awesome Audi 8; iconic Ferrari 430, or intoxicating Porsche 911 - it's up to you! Also includes driver analysis and certificate. Chance for you and 7 friends to race on awesome multi layer track including banked bend in 200cc karts. Medals for the top 3 drivers. Bring the family to cheer you on. Valid Saturday. The thrill of 4x4 Off Road Driving cannot be rivalled for sheer excitement.This is your chance for you (+ up to three friends) to spend 1/2 day training with a qualified instructor. Ideal if you wish to go on and use these new found skills! Chance for you and 7 friends to really get your Heart Pounding and Adrenalin Pumping.Taking part in an Endurance karting session you will be racing on an awesome multi layer track including banked bend. Medals for top 3 drivers.